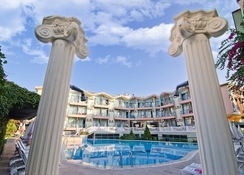 A luxurious hotel in Side, Turkey, Park Side Hotel offers plenty of amenities and a serene backdrop for families and couples to relax and rejuvenate. There are many upcoming facilities and plenty to do in Side. The resort offers shuttle service for the tourist to visit the beach. There is free Wi-Fi for the tourists here. A great resort for fun holidays with families, couples and friends, Park Side Hotel offers great accommodation on a budget. Couples and families can relax in the fresh water pool here and enjoy some mouth-watering snacks available at the poolside snack bar. Park Side Hotel offers plenty of recreational activities for families and large groups too. 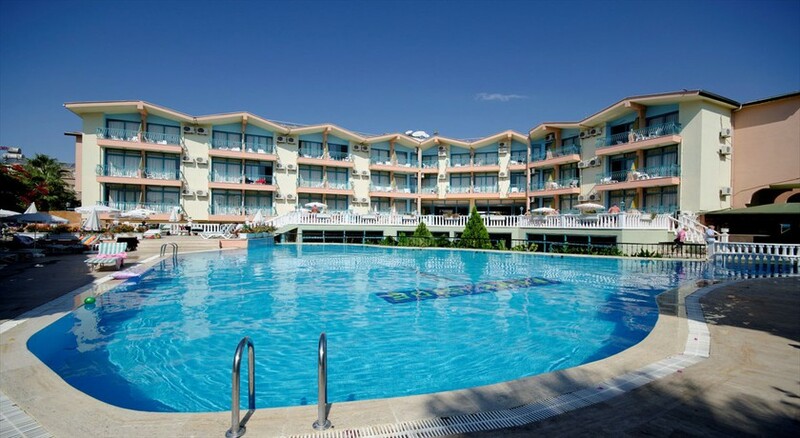 Park Side Hotel is located at a distance of 1.5 km from the beach. One can reach the hotel via air from the Antalya Airport located at a distance of 65 km from here. Side is an upcoming tourist area in Turkey and there are plenty of sightseeing places nearby. The tourists can travel in the free shuttle service to the beach nearby and spend some lazy hours at the clean beach. The rooms at Park Side are well-appointed and equipped with air-conditioning, en-suite bathrooms, satellite TVs, Safe deposit, balcony and hairdryers. A well-stocked mini-bar enables you to enjoy some treats in-between meals. Guests can choose between standard rooms, family rooms and apart rooms. There is plenty to eat and drink here. The resort has indoor and outdoor restaurants, a restaurant bar serving lip-smacking cuisines and a pool bar serving delicious snacks. Guests can enjoy in the freshwater swimming pool here. There is a separate children’s pool too. A pool side snack bar will keep you refueled while swimming. There are sun loungers and parasols to relax and soak up some sun. The hotel also offers a sauna, steam room and a massage treatment. Guests can polish their skills at table tennis, darts and beach volleyball here. You can also rent a bike and explore the nearby mountainous terrains. There is wide selection of water sports activities to choose from too. Amazing place to stay, not too far from everything especially when you rent a scooter. Basic hotel facilities, the hotel is a reasonable distance from Side old town and the beach. Minibus to beach daily. Food okay but monotonous. Staff were nice , helpful and mostly friendly. Staff very helpful. Have us a very small room fit for 2 people even though there was 3 of us. Changed when we approached reception. Food is very basic and same food was served every day. Wouldn’t stay for more than a week. Not much round hotel. Pool was clean but very cold.